Hexagon's MineProtect safety portfolio traces its origins to the Swiss Alps and avionics. A few skillful engineers and enthusiastic glider pilots designed a system to avoid collisions between glider planes. The system had to work in all three dimensions of space. 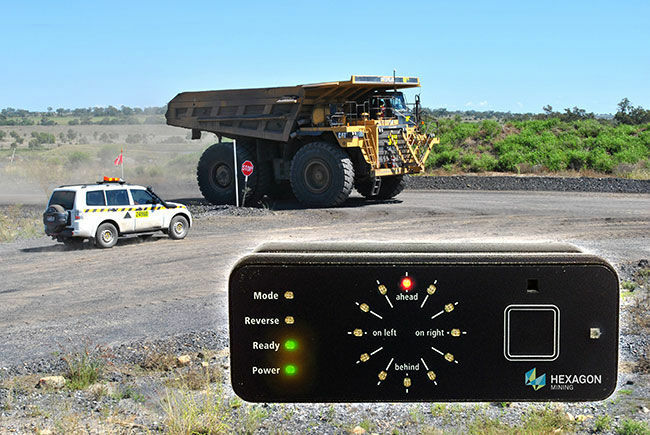 When a mine manager from AngloAmerican approached the entrepreneurs about a collision-avoidance solution for a mine in South Africa, they responded by building a collision avoidance system (CAS). CAS tackles blind spots, one of the leading causes of incidents in the industry. Today it anchors Hexagon's safety portfolio and is used in more than 30,000 vehicles worldwide. 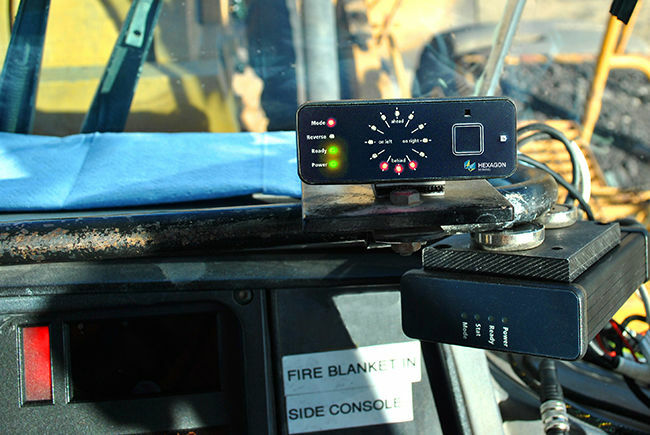 "I was driving along in a light vehicle and came to an intersection, looked both ways, didn't see anything, so I started to accelerate," recalls Martin Leggat, a mine surveyor for New Hope Group's Acland Mine in Queensland, Australia. "Then CAS went off and alerted me that a vehicle was coming and within a second there was a big 793 dump truck coming down on me. The system basically saved me." To give drivers notice of another vehicle ahead, CAS now provides voice announcements. At a pre-set detection distance of 300 meters, an announcement is given in the driver's cab, indicating the type of vehicle approaching. 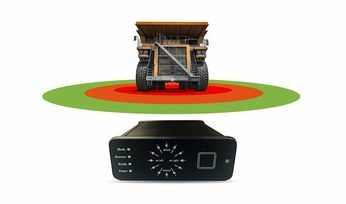 LED indicators show the direction to the other vehicle and provide the distance by changing color - green for 300-100 m, red for 100-10 m, and flashing red for closer than 10 m.
If a medium-sized mine averages one non-injury backing accident per year involving two haul trucks, total cost could be $4.3 million over five years. The total investment for CAS technology over five years is $1.8 million. 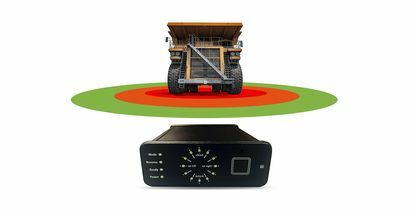 The technology potentially eliminates these types of accidents so the total savings to the mine is potentially $2.5 million over the same period. The ROI is calculated as ($4.3M - $1.8M)/1.8M = 1.4 or 140%. In the final example, CAS's speed monitoring and alarming functions reduce over-speed events by 90%. This results in a cost savings of $1.85 million over five years, including two avoided collisions. With the investment in CAS, the mine breaks even in approximately five years (ROI=0.03), or less if other incidents are avoided. For all mines, accommodating the pressure for productivity with the need for safety is a fine balance. Hexagon believes safety solutions that put people first need not be at the expense of efficiency and results. 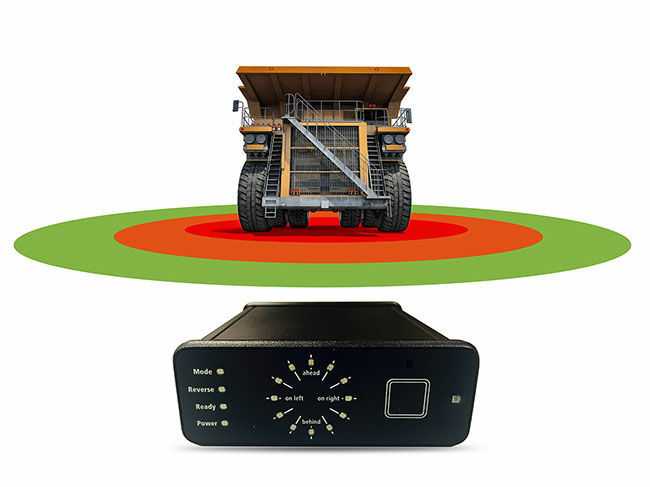 CAS's integration with Hexagon's solutions for fleet management, vehicle intervention, fatigue monitoring and personal protection make it one of the most comprehensive safety portfolios on the market: a powerful ally for any mine pursuing zero harm and an important part of ensuring that everyone gets home safely.